Here are some helpful tips on researching and finding that PERFECT Tattoo Shop! As I said, there are lots of ways to find the best places to go for your tattoo – and here are some guidelines to make sure you don’t miss that perfect venue! 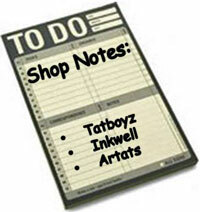 So, break out a notebook, some scratch-paper or pull up a text editor (MS Word, etc) and start a list of tattoo shops. Use these tips below to identify the shops "in your area" – meaning, how far you are willing to drive for the right ink (e.g. 50 mile radius from your home and/or work). List these, leaving plenty of lines of space for your notes. GOOGLE MAPS: Go to your favorite search engine (Google, Bing, etc) and enter the search term "tattoo shops in (your state or region)" and see what turns up. Click the "Maps" tab. Start with the results that are closest to you, click on their "pin" and see if they have a website. These days, almost any decent tattoo shop should have some sort of professional web presence. Make note of the shop (and its URL if they have a site) and move on to the next one. PERSONAL REFERENCES: Got any friends or colleagues sporting ink that makes you cringe with envy? Ever come across a stranger and just ask them where they got it or by whom? If the answer is “NO,” my next question is “WHY NOT? ?” Hey, we LOVE to tell people all about our own tattoos…where we got them, who did them, how we came up with the design etc. All it takes is a question! SEARCH LISTINGS: Checks websites such as "Craigslist" for you local area and see who has posted ads. You can also do it "old school" and try the “yellow pages” or other local publications for listings of licensed tattoo artists (some work independently) and tattoo shops. Be aware, you will come across lots of "artists" working out of their homes or those willing to come to your home. Might be cheaper, but it can be risky. Now that you've written out your list, let's move on to "PHASE-2." Now, go back to the beginning of your list and start research of each studio. Take notes of what you like and don't like for each shop, and begin to narrow down your list of contenders. As you make this list, remember...every discrepancy you see or "feel" is worth jotting down in your notes. Your comfort level is the highest priority right now! WEBSITE: If they have one – even if it's just a social media site (e.g. 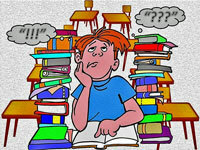 a Facebook profile) – check it out and take brief notes of what you find there. If they link their art, DEFINITELY have a look at what they can do and how it works for what you had in mind. NO WEBSITE? : It could still be worth checking, but for me that is a big red flag right there. Regardless, if it is convenient for you to pop by their studio at lunch or on your way to the store, what do you have to lose? If you're feeling chatty, why not engage them in some conversation about what you want? NOT IMPRESSED WITH SOMETHING? : Whether it was the website, lack of website or anything else about the shop that turns you off, strike it from the list. Plenty of other good ones out there. Yep...the day has arrived. It's TIME FOR A VISIT! 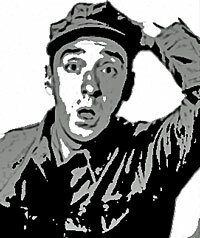 You are now your own Marine Reconnaissance Team ("Pyle!!!") and it is high time you went on a scouting mission...by yourself, or with a friend (team insertion!). Eyes and ears, people! Try not to miss a thing as you judge the facility of the person(s) who may very well end up marking you for life! Once you've identified several contenders (at least 3), take a day or weekend and visit them. Give each shop a good once-over before you even get down to discussing with them the actual tattooing procedure. Is there a lot of dust or dirt in the lobby? Are the walls or windows dirty? Notice any insects, spider webs or bad smells? If they don't take care of their facility, how good is the cleanliness and sterilization of their instruments? Granted, it is a work environment and probably won't look like something out of Home and Garden – but clutter is not the same thing as dust or mold (or worse!). Okay, ask the folks at the shops you've still got on your "good" list about availability and scheduling. Share some ideas on what you are looking for – perhaps the receptionist or artist that greeted you will recommend a particular artist for your type of work? Get a general “feel” for the place and their tattoo artists. Any awards? Credentials (licenses, department of health inspections etc)? What are their sterilization methods (must be a steam autoclave...not chemical autoclave or simple boiling). Okay, I am NOT trying to sound like a TV pitchman here, but it's time to rate each tattoo shop carefully (say, a five star system with comments – good and bad). Looking at your list and notes, weigh each of the factors that are important to you...and pay attention to your instincts. You usually get what you pay for, so if price was discussed at all, don't make a final judgment based solely on what sounds like the "best bargain." In fact, I would hold off on discussing the price at this point. All that being said, the most important thing to remember is this – TAKE YOUR TIME! This can be hard to do when you’re excited about getting your new ink, but it’s very important that you tick some boxes along the way as you search for that perfect place and artist. Try to enjoy the anticipation while you educate yourself!